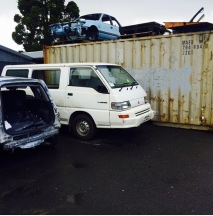 Bel Air Mitsi is the home of Mitsubishi auto parts in South Auckland. 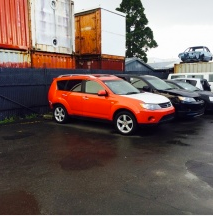 New and used Mitsubishi Outlander South Auckland Belair Mitsubishi is the place to go. We carry all the parts for all years of Mitsubishi Outlander cars from 2003 to 2007. We live and breathes your Mitsubishi Outlander. 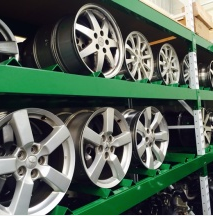 We are proud to be the leading supplier with the best nationwide delivery of Mitsubishi Outlander parts. Genuine Mitsubishi auto parts you can be rest assured that you were getting the highest quality parts from experts that know your vehicle. We take pride in the quality of our parts of the you can be sure does the parts you purchase are safe reliable and in excellent condition. We provide the right parts for the best price. 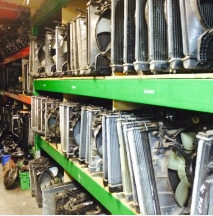 We carry hundreds of parts at all time and if we don’t have the parts trust our experts to Source the part for you. We are local business and we pride ourselves in our great customer service, and knowledgeable experts to help you get the job done. We know how important it is to get you back on the road and your Mitsubishi Outlander and back to your life. Trust our skilled and knowledgeable experts help you with all of your Mitsubishi Outlander needs. Mitsubishi Outlander a very nice for a small SUV. The Mitsubishi Outlander is a compact crossover manufactured by Japanese automakers. The Mitsubishi Outlander offers handling like a midsize sedan, great cargo room for soccer moms and excellent Road presents for an SUV crossover. This four-door crossover has a great engine with a lot of kick and a great amount of interior room and holds a distinct style advantage over most midsize SUVs. It offers a great safety rating and a great value for any owner. It was a very popular car and remains so because of its durability and dependability. The best thing that you can do for your Mitsubishi Outlander as to buy parts better made for your rides specific make and model. We can guarantee any component you buy is going to fit Mitsubishi Outlander. No modifications needed meaning or installation process it’s going to be smooth and are going to work perfectly. If you want high-quality replacements prayer Outlander make sure to buy from Bel Air Mitsi. When you buy parts from us for your Mitsubishi Outlander you can be sure that you receive parts in excellent condition that will last. 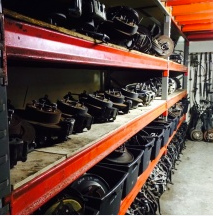 We are here when you need major parts we placed or if you just need regular maintenance parts. What do want to help you sure that you are Mitsubishi Outlander is running at its finest with genuine Mitsubishi spare parts. give us a call to see Parts you need for your Mitsubishi Outlander and let us show you why we are the best Mitsubishi parts supplier in Auckland.